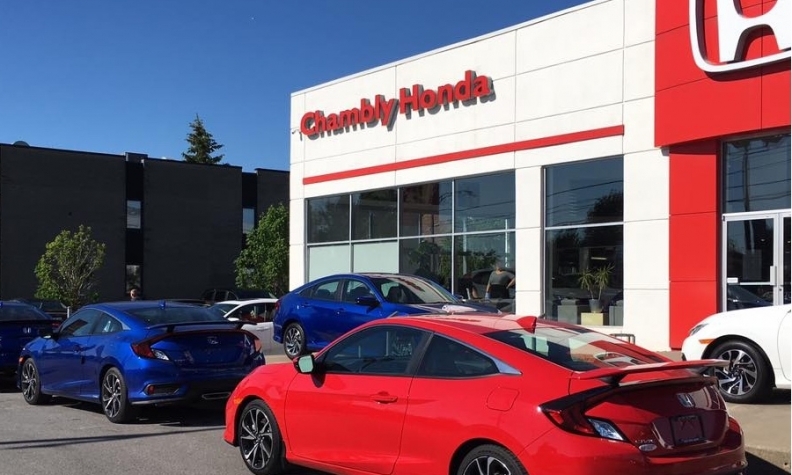 MONTREAL -- Chambly Honda has gone online with a portal for buying cars without the buyer ever having to set foot on the south-shore dealership lot. Louis-Martin Racicot, owner of Chambly Honda, and Louis-Yves Cloutier, co-president and founder of communications group SM360, developed the platform for online shopping that allows customers to review and select new or used vehicles via the dealer’s website, complete the transaction and take delivery, all remotely. “The customer can choose the model, options, insurance, make the complete payment and have the car delivered at home if he or she wants to, or [they can] pick it up at the dealership. “This complete service did exist for used cars, but for new cars, it’s the first time,” said Racicot. “I have wanted to do that for several years, but the technology was not yet up to par and when [Cloutier] called last year and said my idea was a reality, I said let’s go for it. Racicot had two priorities for Chambly Honda. The first was to address dealership opening hours. Most people’s free time “is over the weekend; grocery stores had been open weekends for 20 years.” he said. His second preoccupation was to give clients more choice in their buying experience, hence the new online experience. “We chose to offer a platform to facilitate the purchasing process for our customers,” Racicot said. “We don’t expect people to do the full transaction online right off the bat. Up to now, we have had people taking information online and finishing the transaction at the dealership. We also have people that gave a $250 deposit online, calculated the monthly payment and came to the dealership at the end of that process. “We made that service anticipating the millennium generation, born in the virtual world, will be the ones using this platform the most.They’re the ones I had in mind when we created the platform."